Sometimes it’s interesting to put aside the scent of a fragrance for a minute and focus on its texture. Is it murky and thick like a dark paisley wool throw? Or maybe it’s as diffuse as silk chiffon? The feel of a fragrance can be tight and dry or roomy and almost humid. It can be too dark to parse or nearly seem to shimmer. As its name advertises, Parfum d’Empire Le Cri de la Lumière throws light like a moonstone. At the same time, it’s as cool and as finely grained as luxury face powder. Something so delicate should crush and fade easily, but Le Cri de la Lumière is a solid number, leading me to yet another comparison: a crystal take on Brancusi’s bird resting on an end table by the window. 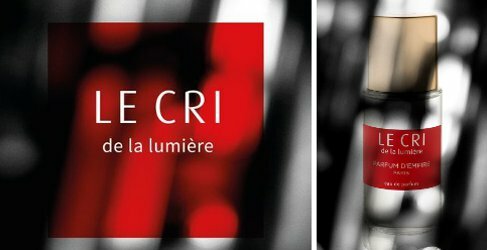 Parfum d’Empire’s founder and nose Marc-Antoine Corticchiato created Le Cri de la Lumière Eau de Parfum. Its notes include Florentine iris, Turkish rose, ambrette seed and woods. The fragrance is plumped and honed and deepened with other materials, but these are the notes the perfume house lists and the notes that stand out to me. As the iris fades and the ambrette strengthens, Le Cri de la Lumière’s temperature drops. “When I first smelled Le Cri de la Lumière, it reminded me of a Chanel,” Tracy from Fumerie told me when I stopped by the boutique to beg for a sample. I can see that. It feels streamlined and elegant and removed from the mess of daily life. It also seems to shine from within. Le Cri de la Lumière’s clean tingle radiates from a smooth, tight floral heart with a pulse of opalescent green. Its base is restrained enough that the fragrance floats like an aura. It’s hard to pin down, but present. Le Cri de la Lumière is also surprisingly persistent for a fragrance with such a light hand. Half the contents of a sample tube at breakfast is still detectable at dinner, although the lovely iris and rose were done by lunch. All in all, to me Le Cri de la Lumière feels more interested in being admired than loved. I’ve already compared it to a moonstone, luxury face powder, a crystal Brancusi, opals, a classic Chanel and an aura. Let’s toss in another one: a high-end 1930s bathroom with gorgeous tile, a capacious bathtub and miles of chrome. Of course, I love it. But the bathroom I live in has two stained (but fabulous!) kimonos behind the door, a half-burnt candle on the back of the toilet, and a toothbrush glass holding an overblown rose. The whole thing could use a scrubbing. It feels like me, which is something Le Cri de la Lumière doesn't quite do. Parfum d’Empire Le Cri de la Lumière Eau de Parfum is available in 50 ml. For information on where to buy it, see Parfum d’Empire under Perfume Houses. Thank you for the review Angela! I was able to get in on a NST split awhile back, but just got around to wearing it fairly exclusively while on a trip. I love your description! I found it to be a very elegant iris, but wearable. It’s modern and clean, and, yes, very wearable! And now you’ll probably always think of your trip when you wear it, I bet. “Le cri” (of horror) came from my throat as I wore this…to use an Angiesque analogy…while wearing it, I felt like a young Jean Arthur: scrubbed clean, virginal, FEMALE for sure (everything but charming and humorous). Next! HA! I love your way with words,Angela!What a beautiful review! I’m only familiar with the earlier Empire scents mostly,of which Equistrius is my favorite-and a gorgeous Iris as well! How does this Iris compare to the velvety one in Equistrius? The iris really comes on strong at first, and it’s a pure, rich iris. The real thing. I’m sad when it pulls back into the rest of the fragrance after a few minutes. Shout out to Tracie and Fumerie! Woohoo! I’m overdue for sonme sniffing there. I’m sure they’re so tired of me at Fumerie! It’s too easy for me to drop in and make a pest of myself. No way! I always feel like Tracie and Andre appreciate the hunt, the exploration, and the curiosity of the perfumista crowd. I’m certain they’re always happy to see you–how could they not be?! I find this warmer and softer than others seem to. I was just watching the Luckyscent review Youtube. Steve considers compares it to power scents of the 80s, but more like a hologram of some of those fragrances, and characterizes it as a patchouli chypre. (He realizes patchouli isn’t listed in the notes.) A hologram sounds a bit like your idea of a crystal Brancusi. Funny, I wouldn’t compare it to an ’80 fragrance at all! I wouldn’t be surprised if it has a sliver of clean patchouli, but it certainly isn’t what Cri is about for me. I hear you on the travel sizes! It sounds like there might be some smaller sizes out there, though–see Lucasai’s comment below. Thanks, I’ll have to ask Lucas about that on one of the daily polls. I checked their website and am not seeing travel sizes there, so I wonder if it was a special offer or something. so happy to say you’re reviewing Le Cri. I’m totally in love with it and feel lucky that I got a travel spray from Parfum d’Empire. I agree with you that it feels like a face powder. It has a very elegant and sophisticated retro vibe but at the same time it doesn’t feel old-fashioned when I smell it on my skin. I like the way Marc-Antoine Corticchiato works – he doesn’t rush and introduces a new perfume only when he knows he did his best. I appreciate his measured releases, too, and always look forward to trying his new work! Very late to this party but I’ve only just tried this yesterday and I adore it. I find it a lot softer than MAC’s usual work with Parfum d’Empire, but still very very good. I would love a bottle of this. I’m glad you had the chance to sample it! I hope a bottle is in your future. Beautiful review. Texture in perfume is so underreported.